The distinction between DJ and producer becomes vague nowadays and it seems that it is going to disappear completely in the very near future. After a success of Serato Sample, New Zealand's finest DJ software company Serato, announces a DJ-oriented beatmaking software Serato Studio. According to Serato, one of the main reasons that holds DJ’s from producing their own music is the steep learning curve and complexity of modern DAW’s. 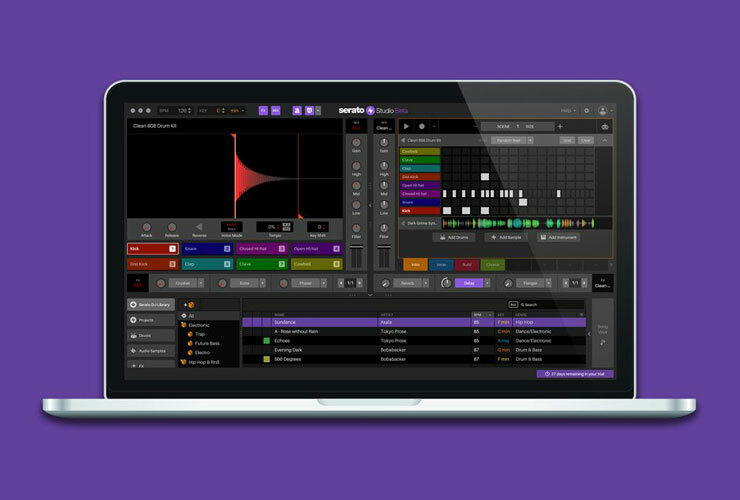 Therefore they come up with this idea to create a DJ-style workflow based music production software, that would be simple, easy to use and would contain already familiar elements, known from Serato DJ and Serato Sample UI. But simple doesn’t mean bad, at least not in this case. This easy to use UI hides everything you need to create proper tracks. Studio will allow to sample by triggering cue points, sequence samples and VSTi instruments, use filters and effects. It will have time-stretching and key detection so even the lack of music theory knowledge wouldn’t stop you. So far no release date has been announced, but it is possible to sign up for beta-testing.